Casa da Passarella is located near the eastern border of the Dão in Serra de Estrela, named after the nearby mountain range. 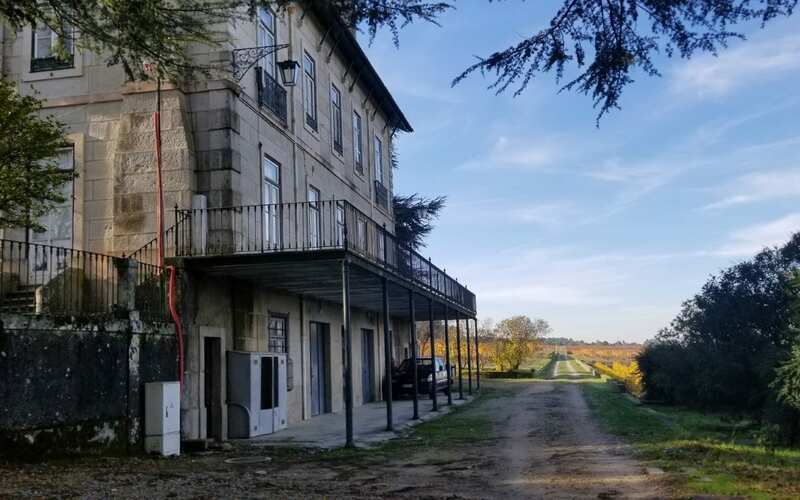 Casa da Passarella, founded in 1892, is an historic and respected winery that helped to create the demarcated region of the Dão in 1908. 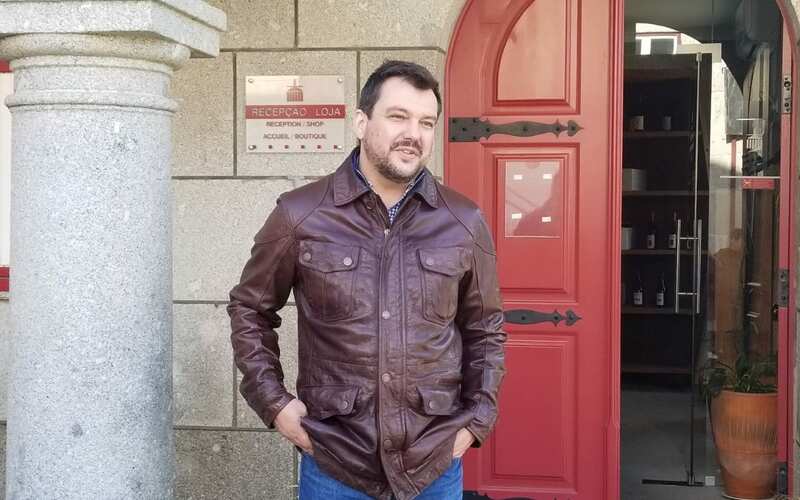 The Cabral family purchased the winery in 2008 and winemaker Paulo Nunes also joined the team. With more than a 100-year history, Casa Pasarella is a winery whose story has been written in wine. Paulo Nunes, who is originally from the Douro, came to the Dão in 2003. He was drawn to the region due to the elegant and fresh nature of the wines. A fan of Barolo and Burgundy, he felt that he found the right place in the Dão. And since 2011, he has been the CEO of Casa da Passarella. Located near the highest point in Portugal, Casa da Passarella is located at an altitude of more than 2,600 feet. The altitude contributes to wines that are fresh and elegant without concentration. The land is a natural amphitheater and seven vineyards surround the house, each with different exposures, which result in different tastes. The granitic soils, cold temperatures (cold enough to snow), and minimalist intervention, all contribute to make elegant wines that are everlasting. Encruzado makes rich, full-bodied wines. It can have aromas of lemon, green papaya, passion fruit, stone fruit, and melon, as well as herbal, floral and mineral notes. Encruzado can be drunk young but also has the capacity to age. 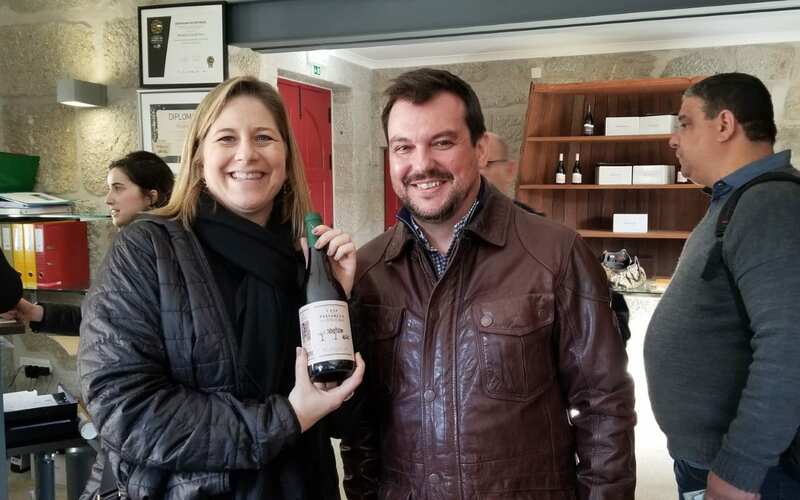 According to Nunes, he believes that Encruzado is good to drink within its first four or five years but then has a neutral gap for two to three years. After the neutral gap, the wines are even better and as Encruzado ages, it develops notes of hazelnut. The Casa da Passarella portfolio includes a variety of wines, including single varietal red wines, red blends and white blends. But, they also produce two single-varietal Encruzados. 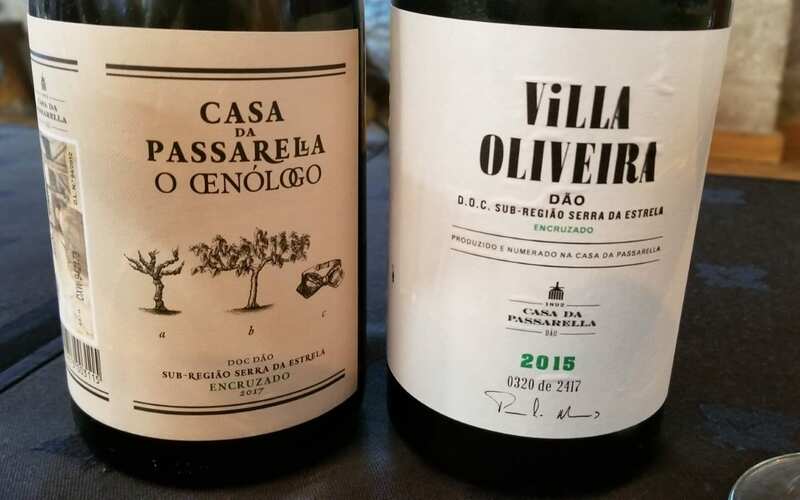 Casa da Passarella O Oenólogo Encruzado 2017 – Harvested by hand, the grapes go through a long pre-fermentative maceration, followed by a light pressing and then a slow fermentation in used French oak casks. The wine is aged in cement tanks, where battonage takes place, and a small percentage is aged in casks. The wine is aged sur lie. The 2017 is fresh and aromatic with passion fruit and citrus notes. A young wine, it has intense acidity and is bright and crisp on the palate with a long and persistent finish. It is a wine to pair with fish, pasta or semi-soft cheese. 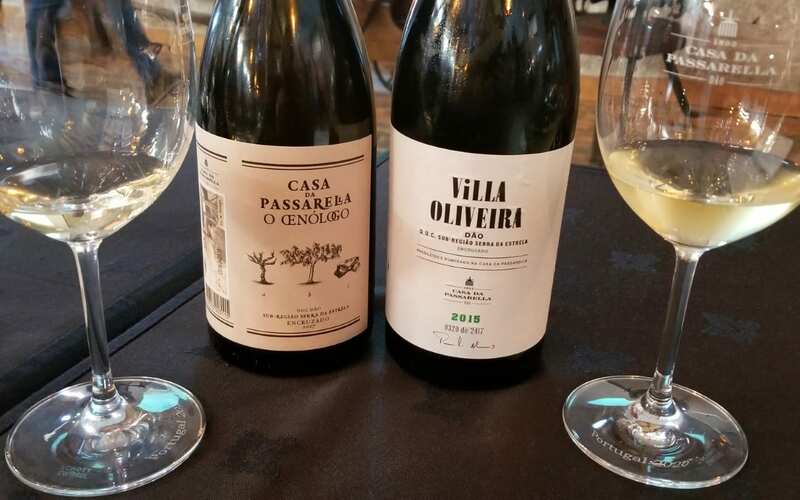 Villa Oliveira Encruzado 2015 – Villa Oliveira was the first brand by Casa da Passarello, born more than 100 years ago. The grapes come from a 40-year-old vineyard and the wine is made with skin contact as they did in the past. The grapes are handpicked, and fermentation takes place with skin contact and indigenous yeasts in cement tanks. After eight-days of skin contact, the juice is pressed and placed in big barrels, one-third of which are new and two-thirds of which are used. After fermentation, the wine is aged for nine months with three months of battonage. The 2015 is crisp with mineral and intense tropical notes. On the palate, the wine is fresh but structured with lots of minerality and intense acidity. This is a wine to enjoy with shellfish or cured meats. As our visit came to an end at Casa da Passarella, I was smitten with Encruzado. The fruit, the acidity, the minerality, the texture — everything was in balance and made me wanting more. I picked up a bottle of Casa da Passarella O Oenólogo Encruzado 2013 to bring home with me. I asked Nunes to sign my bottle as a remembrance and asked him when I should drink the wine. He suggested that I hold on to it for 12 years and signed that on my bottle. So, now I have a bottle that I am saving in my wine refrigerator to enjoy at a later date but will find some other Encruzado to enjoy now. 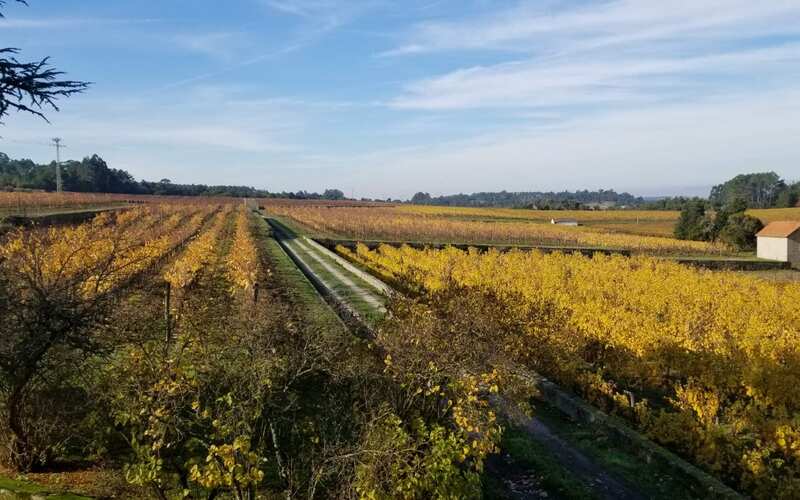 This entry was posted in Lifestyle, Wine and tagged Casa da Passarella, Dao, Dao wine, Dao Wine Region, encruzado, Napa Valley Register, Paulo Nunes, Portuguese grapes, Portuguese Wine, Portuguese wines, Serra de Estrela, white wine, Wine, Wines of Portugal by Allison Levine.